On August 27, 2018, Mr. Clifford Calliou of Fishing Lake passed away at the age of 72 years. He is survived by his loving children, Brian (Krista) Taylor, Roderick (Johanna) Parker, Kimberly Fayant, Jeanny (Jay) Duffee, Greg (Tienna) Calliou, Heather (Keith) Calliou, Tyler (Carlene) Gladue & Stephen Gladue; grandchildren, Jenna, Julia, Courtney, Dakota (Andriana), Alyssa, Kayla, Eric, Erin, Alex, Selena, Parker, Emma, Karma, Remara, Sadie, Aliya, Stan Jr. & Justice; great-grandchildren, Ali, Tarrah, Elijah, Braydyn, Azariah & Braxton; 2 brothers, Richard Currie & Ross Calliou; 3 sisters, Angela (Craig) Lorenson, Jeannette Calliou & Susanne Calliou; numerous nieces, nephews & cousins. He was predeceased by his parents, Dave & Florence; 3 brothers, Kelly, Raymond & Edward “Ted”; daughter, Shelley Crevier. A Wake will be held on Friday, August 31 (leaving Grace Gardens at 1:00 p.m.) at Fishing Lake Communiplex, Fishing Lake. 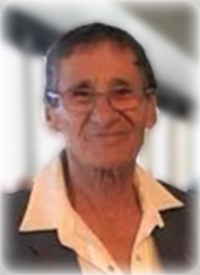 Final Respects Saturday, September 1 at 12:00 p.m. at Fishing Lake Communiplex, Fishing Lake. Mass of Christian Burial will be held on Saturday, September 1 at 2:00 p.m. at St. Eugene Roman Catholic Church, Fishing Lake. Reverend Father Joji Boyapati will be the celebrant with interment in Fishing Lake Community Cemetery, Fishing Lake. To send condolences online, please visit www.gracegardensfuneralchapel.com. Sorry for your loss, hope you find comfort in your friends and family.